HabboBites - [Competition] Season to Chance! Season of love.. or heartbreak? "Chance" - Means to hit on. 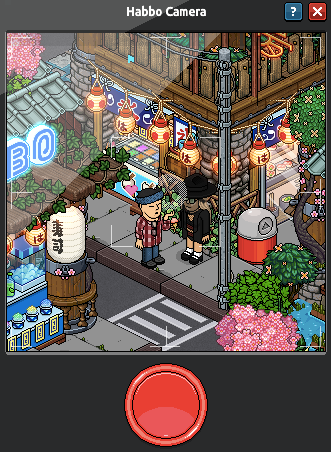 • Take a picture (screenshot) from behind your pixel (habbo) camera. • Your picture must include the habbo you want to "chance"
• All photo/post must start with "Season to Chance!" This year I want to chance Funkyhabbo as always, he can reject me every year but I will chance him every year. • One entry per person, multiple entries will be invalid. • Entries must include your screenshot, title and description. All participants will receive an exclusive username icon! love the icon it's so cute :) I agree! Fixed typos - thanks syahidsaaib ! omg the icon so cutee!